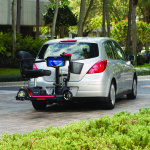 Harmar’s impressive line of exterior scooter carriers offers endless mobility solutions to accommodate almost any mobility device and vehicle combination. Their rugged and easy-to-use designs make them the lift leader in exterior lift products. 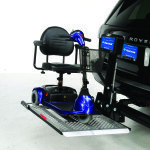 From travel-size scooter to heavy-duty power wheelchair, Harmar has an exterior lift solution for your needs. Listed below are three of Harmar’s most popular exterior lift carrier solutions. 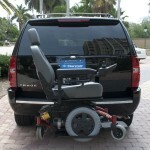 To learn more about their full line of lifts, contact a product expert at the Creative Mobility Group. Our experienced and knowledgeable Mobility Consultants are happy to help you find the best mobility solution for your needs.